On the hunt for a new Acura for sale in Boulder? 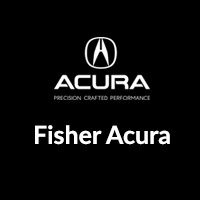 Look no further than the extensive new vehicle inventory at Fisher Acura. We want to find you the Acura that best suits your specific driving needs, and our finance team is here every step of the way to help you navigate our new vehicle specials and finance offers. Once you’ve taken a look at popular models like the Acura TLX and Acura MDX, give us a call at (303) 245-6418 to set up an appointment and take your favorite vehicle for a test drive. Find out how you can use Online Shopper to complete the bulk of the car-buying process without leaving home! And, we’re proud to offer sound advice on taking care of your vehicle on how often you should rotate your tires. NAV, Sunroof, Heated Leather Seats, Turbo, Alloy Wheels, All Wheel Drive. Fathom Blue Pearl exterior and Graystone interior, w/Technology Pkg trim. FUEL EFFICIENT 27 MPG Hwy/21 MPG City! AND MORE! KEY FEATURES INCLUDE Rear Spoiler, MP3 Player, Sunroof, Aluminum Wheels, Privacy Glass. Acura w/Technology Pkg with Fathom Blue Pearl exterior and Graystone interior features a 4 Cylinder Engine with 272 HP at 6500 RPM*. EXPERTS ARE SAYING Edmunds.com's review says No matter what speed, these brakes inspire confidence thanks to predictable engagement and good feel.. Great Gas Mileage: 27 MPG Hwy. BUY FROM AN AWARD WINNING DEALER Fisher Auto of Boulder serves the greater Denver area including Longmont, Broomfield, Lafayette, Louisville, Erie, Westminster, Thornton and Brighton. Stop in today or call 303-245-6406 to speak with a brand specialist. THE INFORMATION INCLUDED ON THIS WEBSITE DOES NOT CONSTITUTE AN OFFER TO SELL. THE INFORMATION MIGHT BE INCORRECT AND THE DEALERSHIP IS NOT LIABLE FOR ANY ERRORS. Accessories and color may vary. Nav System, Moonroof, Heated Leather Seats, Turbo Charged Engine, Aluminum Wheels, All Wheel Drive. EPA 27 MPG Hwy/21 MPG City! w/Technology Pkg trim, Fathom Blue Pearl exterior and Graystone interior. AND MORE! KEY FEATURES INCLUDE Rear Spoiler, MP3 Player, Sunroof, Aluminum Wheels, Privacy Glass. Acura w/Technology Pkg with Fathom Blue Pearl exterior and Graystone interior features a 4 Cylinder Engine with 272 HP at 6500 RPM*. EXPERTS ARE SAYING Great Gas Mileage: 27 MPG Hwy. MORE ABOUT US Fisher Auto of Boulder serves the greater Denver area including Longmont, Broomfield, Lafayette, Louisville, Erie, Westminster, Thornton and Brighton. Stop in today or call 303-245-6406 to speak with a brand specialist. THE INFORMATION INCLUDED ON THIS WEBSITE DOES NOT CONSTITUTE AN OFFER TO SELL. THE INFORMATION MIGHT BE INCORRECT AND THE DEALERSHIP IS NOT LIABLE FOR ANY ERRORS. Accessories and color may vary.